The World Forestry Center Discovery Museum is located across from the Oregon Zoo and adjacent to the Hoyt Arboretum and Portland Children’s Museum. 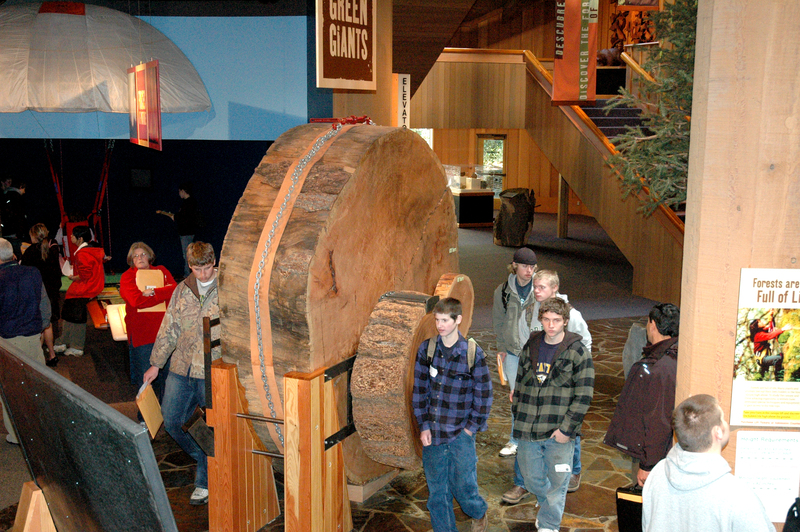 Students of all ages can explore forests top-to-bottom on two floors of unique interactive exhibits. The focus is on the native trees and forests of the Pacific Northwest, and “The Four Forests” found around the world. Thoughtful, colorful exhibits are content-rich and aligned with Next Generation Science Standards. The World Forestry Center Magness Memorial Tree Farm is a beautiful outdoor education site donated by the Magness family in 1977. Two miles of diverse woodland hiking trails and a small picnic shelter are open to the public. Students of all ages can study native trees, seasonal wildflowers, wildlife habitat, forest and stream ecology, and common forest management strategies in a safe outdoor setting.